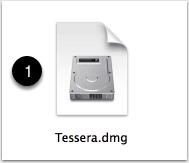 Once downloaded you’ll find the Tessera.dmg download in your designated download location which is likely to be your Downloads folder. If it hasn’t already been opened then double-click on the Tessera.dmg icon and the Tessera Volume icon will appear on your Desktop. 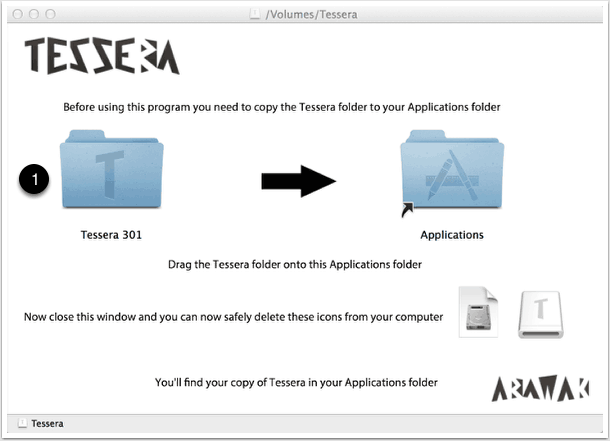 Double-clicking on the Tessera Volume Icon opens the window below and from here you drag and drop the Tessera folder onto the provided Application Alias. After a moment a copy of Tessera will have appeared in your own Applications Folder. 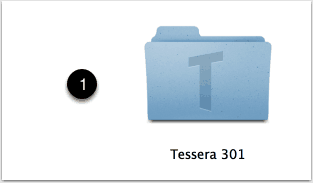 The Tessera Folder in your Applications Folder now contains the Tessera App and your Tessera data file. The data file contains any information you enter into Tessera and should be part of your daily backup routine. The Tessera App can be dragged into your Dock if you want to place it in an easy to reach location. (The Tessera App and the Tessera data file need to remain in the same folder and should not be renamed). Once Tessera has been installed you can close the installer window and safety delete the Volume Icon and the .dmg icon (1).